Can Just One Dance Change Destiny? Only the Queen of Hearts Knows! Can Just One Dance Change Destiny? As Corvette Nightfire approaches the casino in Las Vegas, the doors burst open to the sound of gunfire. A beautiful woman rushes to him and thrusts a heavy bag into his arms. Instructing him in Spanish, which he doesn’t understand, she runs past him to a waiting car. A professional poker player in town to play Texas Holdem in the Final Nine in the World Series of Poker, Corvette soon discovers that he is inexorably connected to Valentina, this exotic woman who has just put his life into a tailspin. He disappears into an international vortex of intrigues, a complex world of ordinary heroes and heinous cartel thugs, in a desperate race to find and save her. They can’t speak each other’s languages, but on the romantic evening on which they meet, Valentina shows Corvette her life through dance imagery. He sees her as an animal spirit, an amber-eyed black jaguar that comes to symbolize the woman he inexplicably loves. His heart reveals that the millions of dollars in prize money in the tournament mean nothing compared to Valentina’s life. When she disappears, Corvette becomes both the hunter and the hunted as he desperately tries to find her while she is still alive. His journey takes him to an unexpected destiny, one that reconciles generations of family sins. Corvette Nightfire, the second book in the mystery suspense series, The Z Redemption Trilogy, takes up where The Z Redemption leaves off and straps the reader into another bumpy, exhilarating ride! Some of the main characters of the first novel (David James, Ana Valdez, Enrique Santos, and President Donald Austin Blair, for example) continue in the second and work with new characters from the DEA and the drug cartels. 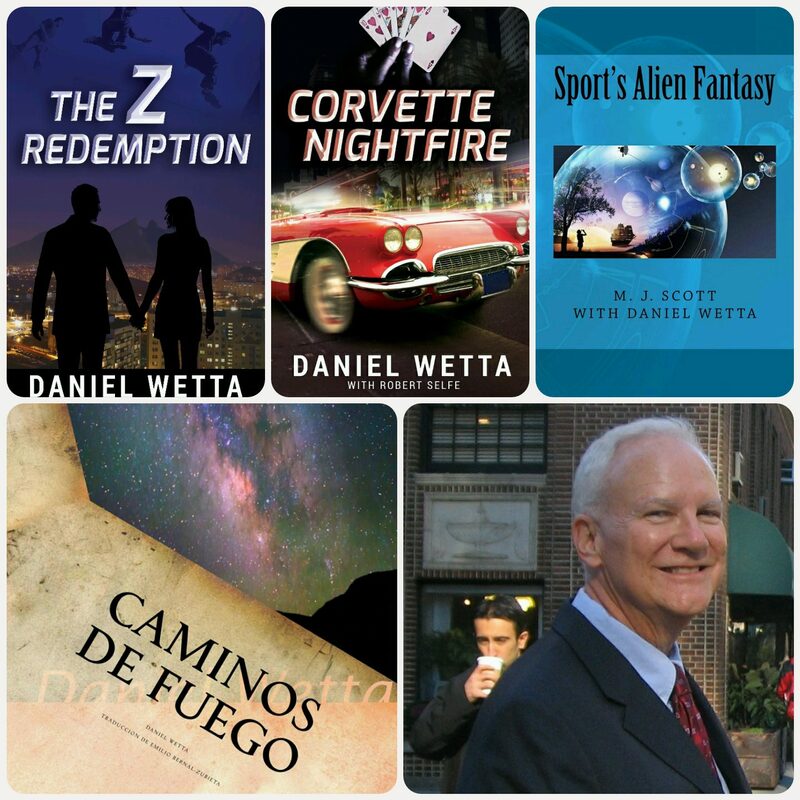 A suspense-thriller set in Las Vegas, Monterrey, Mexico, and Barbados, Corvette Nightfire takes up where The Z Redemption leaves off and straps the reader into another bumpy, exhilarating ride! Don’t miss this: Volume 2 of The Z Redemption Trilogy!